We continue our research of the War Between the States. We will publish a series of books, and will start with another book on the men who served in the 16th Regiment of Alabama Infantry, CSA and their families. Most of this regimentconsisted of men across north Alabama. Many familiar names served in the 16th. Any photos or information would be helpful if you have an ancestor who served. Please identify yourself so that you may be credited with whatyou provide. Please forward photos and text to our email at: rememberingtheshoals@gmail.com. This flag of the 16th Alabama Infantry Regiment is one of 87 housed at the Alabama Archives. It was captured by Pvt. Abraham Greenwalt of the 104th Ohio Infantry on Nov. 30, 1864 at the Battle of Franklin, Tennessee for which he was awarded the Medal of Honor by the U.S. The Color Bearer for the 16th was Drury Bowen from Franklin County. Photos should be at least 300 dpi. Copy machine copies are the least desirable for print; but if that is all that exist we may choose to use them. Photos can be copied cheaply at Rite Aid and other places as well as placed on dvds for upload to email. We are also working on books for: Roddy’s and Russell’s 4th Cavalry, 8th Tennessee, 1st AL & TN Independent Vidette Cavalry USA, 27th Alabama Infantry, 19th Alabama Infantry, and possibly others in the future. May 16, 2011 | Categories: Military Service Men and Women, Remembering the Shoals, Soldiers in the War Between the States | Tags: 16th Regiment of Alabama Infantry CSA, 19th Regiment of Alabama Infantry, 1st AL & TN Independent Vidette Cavalry, 27th Alabama Infantry, 4th Cavalry Regiment, 8th Tennessee, Battle of Franklin, Civil War, History, Rite Aid, Roddy's 4th Alabama Cavalry, Russell's 4th Alabama Cavalry, War Between the States | Comments Off on Would you help? or Bonnie Accord, David Peebles‘ plantation or a part of it, is now known as Aberdeen and is on the National Register of Historical Places. Why, bless their hearts, the Peebles name is not even listed as one of the former owners. Some of the information about the history seems erroneous to those who may be familiar with the David Peebles family of Prince George County in Virginia. The two-story brick home, a temple style building, rectangular in shape was built circa 1790. Perhaps James Cooke did build Aberdeen, however, as it was David Peebles who originally owned the property and as some descendants believe still owns it. The once pristine plantation is located on what would seem an isolated and lonely stretch of highway nine miles east of Hopewell on Route 10. It’s physical address is 15301 James River Drive in Disputanta, Prince George County, Virginia in the 23842 zip code. Given as primary owners are: James Cooke family, Thomas Proctor, and the Charles Marks family. Aberdeen, originally part of the Bonaccord estate, the records of the Historical Register state that it was given to Elizabeth Bonaccord [Peebles] upon her marriage to James Cooke. It is named after Cooke’s birthplace, Aberdeen, Scotland. The write-up about ‘Aberdeen’ is part of a Virginia W.P.A. Historical inventory Project sponsored by the Virginia Conservation Commission under the direction of its Division of History. In 1840 a great celebration took place at ‘Aberdeen’ in the form of a wedding for the groom Nathaniel Cooke. Cooke had served in the Confederates States Army in Company F, 5th Virginia Cavalry. Evidently it was a grand and great event, as it has become part of the history of the home. Nathaniel Cooke died in 1862. The write-up suggests that James Cooke was the progenitor of the Cooke family. The photos of ‘Aberdeen’ were taken 1 Dec 1937 by Jennie Harrison as part of a survey and documentation that was included in files with the W.P.A. program and associated with the record of review to determine the buildings’ qualifications for historical register status. Elizabeth Cooke Hurt was given as informant. The official name of the property is given as ‘Aberdeen’ and the site number is given as VDHR file no. 74-0001. The recommendation process was complete in 2001 on November 20th by the Virginia Department of Historical Resources. The one building is given as privately owned. It is a single dwelling with agricultural fields that is currently functioning as a single dwelling for the purpose of agriculture that matches the given historic function as a single dwelling in the Domestic category with agricultural fields in the category of Agriculture. The building is architecturally classified as Early Republic and Early Classical Revival. The property is associated with events that have made a significant contribution to te broad patterns of our history and embodies the distinctive characteristics of type, period, or method of construction or represents the work of a master, or possesses high artistic values, or represents a significant and distinguishable entity whose components lack individual distinction. There are 378 acres associated with the dwelling. The period of significance for the building is 1840. That date would coincide with the marriage of Nathaniel Cooke that was held at ‘Aberdeen.’ The information given is that the dwelling is owned by Aberdeen Farm Properties, LLC at Aberdeen Farm, 15301 James River Drive, Disputana, Virginia 23842. Aberdeen is an imposing brick temple-form house. The main façade features an imposing pediment finished with horizontal flush sheathing. The walls are laid in Flemish bond with flat arches over the openings. A diminutive portico with Doric columns is the central feature. It and the main roof have cornices with block modillion. A lateral hall runs across the entire front of the house, which is reflected in the side elevations that each have a door and two windows on the first floor below three windows on the second floor. Aberdeen is one of a group of houses that have this plan and front elevation. They occur over a long period and are scattered randomly across the state. Aberdeen also features important Federal interior woodwork in remarkably undisturbed condition. The house sits in a picturesque grove in front of woodland and wetlands. Between the fenced yard and the main road are flat fields typical of Tidewater Virginia still in cultivation, as they have been for at least three centuries. On these and other fields Thomas Cocke and his friend Edmund Ruffin conducted experiments in fertilization that led to Ruffin’s publications that revolutionized farming. Exterior: The house at Aberdeen is a large plantation house built with the overall proportions of a classical temple. The walls feature Flemish bond brickwork with simple flat arches of the openings. The pediment is covered with flush sheathing and is outlined by a cornice featuring block modillion. This cornice continues around the house. The first-floor windows feature 9-over-9 sash and the second floor 6-over-9. The window frames are set flush with the brick walls and are not recessed, as is usually the case. The windows are fitted with louvered shutters. The house sits on a high basement lit by small rectangular windows. The front (east) elevation is three bays wide. A diminutive 3-bay Doric portico shelters the central double door. It has the same cornice as the main roof. The porch has wide steps between stepped brick plinths (of 20th century vintage). In the center of the pediment is a round-arched window framed by arched blinds. The 3-bay side elevations are identical with double doors at the front ends with two windows beyond on the first floor. On the second level windows occur above each lower opening. These elevations reflect the interior plan – a lateral front hall opening into two rooms behind. In the rear wall brick continues to the top of the gable. There is a pair of slightly projecting chimneys. A one-story frame wing is attached which now houses a bathroom and kitchen. This wing contains work from different periods and probably has been rebuilt several times. Happily it is so subordinate to the great mass of the house that it does not compromise the classical proportions. It provides modern conveniences and leaves the original interior spaces unchanged. Interior: The front door opens in to the hall that runs the width of the front of the house. At each end are double doors. All three exterior doors feature transoms and leaves in which the panels have been replaced with panes of glass. Across the hall, interior doors lead to the two rooms beyond the hall. These single doors are robust 6-panel ones set in handsome double architrave frames. The splayed door and window reveals and soffits are reeded. In the northeast corner, the stair rises in a long initial run to a landing, a transverse run, another landing, and a final reverse run. The stair features a simple newel, square in section, and a handrail, oval in section, set on a recessed rectangular base. Simple balusters, square in section, support the rail. The treads rest on delicate curvilinear brackets. The hall like all the downstairs rooms, has pedestal wainscot with flush panels. There is a delicately molded cornice at the ceiling and a flat picture molding set in the wall about three feet below the cornice. Behind he hall are the parlor (the southeast room) and the dining room (the northeast room). The large rooms are of equal size. They have similar pedestal wainscots and dentil cornices with slight variations in detail. The windows in the dining room have reeded reveals and soffits; those in the parlor are flat paneled. Each has a fireplace in its end (west) wall. In the parlor, bookshelves have been built to the right of the fireplace. the fireplace probably retains its original large brick firebox, topped by a thin jack arch. The brick surround is framed by a delicate molding which is, in turn, bordered by a band of reeded blocks set flush with each other. Very narrow fluted pilasters frame the opening and support and entablature of probably unique design. The cap molding of the pilasters continues across the top of the fluted band. The entablature breaks out over the pilasters and a central block. Between the three projections is a band of concave recesses. Above it is an intricate molding that breaks and carries over the projections. Above the molding a punch-and-dentil band occurs between the blocks. The cornice shelf features complex moldings. In the dining room there is a closet to the left of the mantel and a door to the right that gives access to the one-story rear wing. While the doorcases to these openings appear to be original, the doors are not, and the present arrangement may not be the original one. The mantel is a simpler version of the one in the parlor. It repeats the fluted pilasters and three-part architrave but has a simpler entablature with a continuous band of modified wall-of-troy ornament. Above each pilaster cap is found a curious element that resembles an enlarged section of bead-and-reel ornament. On the second floor, a winding stair to the third floor is located beside the main stair. There is a small hall room in the southeast corner. There are rooms of equal size over the parlor and dining rooms. These have wainscot and mantels with cornice shelves ornamented with dentils over openings framed with two-part architraves. The corners adjacent to the mantels (next to the common dividing wall) have been enclosed with angled walls to create a bathroom accessible to each bedroom. The third floor has several rooms of differing sizes. Only two have windows – a small one served by the arched pediment window and a large one utilizing the window between the chimneys on the rear wall. There is a storage room under the roof on the south side. There are photographic and other records of outbuildings that once stood near the house. A smokehouse was recently dismantled, but has been stored on the site for future rebuilding. The yard consists of mature trees and shrubs typical of rural Virginia. There are informal flowerbeds in the side yard north of the house. The yard is surrounded by trees in the fence rows on the front and sides and woodland at the rear. In fornt of the house are broad open fields divided by an axial driveway that runs out to State Route 10. These fields and adjacent ones are planted today with seasonal crops. The deep cut where the road enters the gate to the front yard attests to the great age of the lane. Behind the house and fields are stands of pine timber, mixed woodlands, and designated wetlands. Except for a few small houses in the distance, view is of the flat fields that cover most of Prince George County. The land is still used as much of it was in the 19th century and some of the present crops may well still benefit from the marling done by Cocke and Ruffin almost two centuries ago. Aberdeen in Prince George County, Virginia, is significant at the state level under Criterion C for its architectural merit and under Criterion A for the unsung contribution of Thomas Cocke to the agricultural research done by his close friend, Edmund Ruffin. The house that Cocke built on his inherited land is one of a small group of houses built with lateral front halls serving pairs of large rooms. It contains distinguished Federal woodwork whose idiosyncrasies may well be linked to other houses through additional study. The house is remarkably well-preserved, with few changes, and sympathetic modernizations. Its sits surrounded by woodland, wetlands, and flat fields still being farmed. Thomas Cocke’s role as Ruffin’s guardian and later as confidant and friend has been overshadowed by Ruffin’s strong personality. Though Cocke did not publish his experiments on soil renewal, his debates with Ruffin and their mutual investigations were significant part of Ruffin’s research. In the fields still under cultivation at Aberdeen and on their lands nearby they experimented and cogitated. Ruffin’s published works reformed a significant segment of American agriculture. Hillard and this is our little sister Alice. Somehow it was always Alice who got into trouble, perhaps it was because Hillard just wouldn’t agree to punishment. Alice was in charge of seeing that her young brother got home in a timely manner from school – and herself for that matter. That must not have been an easy task because so much seemed to peak his interest. That particular afternoon the trek home from the schools across town seemed particularly harrowing for Alice. She recounted the story of that afternoon and it seemed a movie was playing in her head as she relived the events of that unforgettable day. It was a day in early September of 1945. She was but nine years old, or almost for her birthday was in December. She was exasperated with her brother because she was sure that he would get her into trouble with his lollygagging. After all the past is prologue. Something had caught her brother’s attention further down the sidewalk in downtown Sheffield that particular day. He hurried to the store down the street. I am sure she must have tapped those little feet and let out a few breaths of aggravation as she insisted that they go on down the road toward home; he refused to budge. Hillard later said it was a soldier with an Army duffel bag going down the street and then into the store. When they reached the grocery store just a few blocks before the train tracks, Hillard stopped dead in his tracks. His little nose was pressed against the windowpane of the storefront window. Alice must have thought aloud and asked, what now? World War II had just ended. Then, Alice noticed there was a soldier in there. The soldier was drinking a Coke. Alice noticed Hillard’s gaze go up to the soldier’s mouth (and his little nose go up on the windowpane) as the soldier lifted the Coke bottle to his mouth, and then down as he lowered the bottle and its precious contents to the table again. Again. Again. And again. Alice nagged at him to come on, let’s go home; but to him she was all but invisible. All that mattered was that Coke bottle and the path it took from table to mouth, from mouth to table. But then, she noticed something else. Maybe it was the soldier’s gold tooth that had her brother in awe of the young man in uniform. Not that the little boy and girl were not patriotic, but a Coke was a rare and precious commodity, and so was a gold tooth – a real genuine gold tooth. Gasp. Of a sudden the little boy bounded forward and entered the store. She was caught unaware. She fumed as she considered that Hillard might have a nickel in his pocket. A nickel would buy a Coke, but just one. She steamed that, dern, she didn’t know where he would get them but it seemed that Hillard always had a nickel in his pocket. A child with a nickel was exceedingly rare in those hard times that came on the heels of the Great Depression and a world war that had just ended. So, she drug her feet and went in after him hoping that he would just come on home with her and before she was to get into trouble because of his precociousness. After entering the store, her brother continued to watch every move that the soldier made; every breath the soldier took. I insert here that I can all but tell you what happened next. That soldier asked the little boy, “What are you doing, Jabbo?” The little boy was watching the soldier’s every breath; the sister was watching what would without a doubt be the little brother’s last breath. That was a certainty and an all but done deal. Her brother made a query of the object of his intense study. He asked, “What is your name soldier?” The soldier answered, “James Murray.” The little boy said, “Soldier, I am your brother Hillard and this is our little sister, Alice.” Now, anyone with one eye and half-sense could predict what was to happen next. Little brother and sister remembered for a lifetime the thrill of that day. Their mother had died when Alice was just a little girl and Hillard not much older. James Murray was but fifteen and the oldest child when his mother died. There was another brother, Ed Lee, who was the second oldest child. Hillard and Alice recalled that their brother got them a taxi cab and they went shopping. Hillard and Alice recounted that, “He bought us everything.” Hillard stated about the day and the length of time it took to get home from that point that James must have known everybody in the town. It must have seemed like the whole entire town talked to and welcomed their big brother back home. I don’t think anyone got in trouble that day for getting home late from school. To this day Hillard states that James was his hero. Much too late to ever tell him, I discover he is my hero, too. brought us to an interesting article on the Box brothers who went to Texas and their story. Are any Boxes in the area related to these Box brothers’ ancestors? They were once in Alabama. In 1834 ten heads of household named Box arrived in Nacogdoches, Cohiulia y Tejas, Republica de Mexico and applied for Mexican land grants in the Burnet grant. The group consisted of two brothers, John Morris and Stephan Box, and their sons. All were Methodists from Tennessee who had been in Blount County, Alabama for about a decade. In order to qualify for Mexican land they had to pledge allegiance to Mexico and embrace the Roman Catholic Church. Preaching, or even practicing, a protestant religion was a crime. Most of the Boxes received title to their land in 1835. In 1836 most of the men were in either the Army of the Republic of Texas or the Texas Militia. 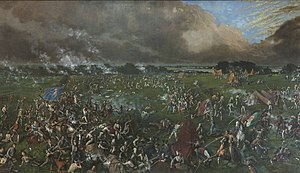 Four of the boys were in the Battle of San Jacinto where Texas won its independence. By 1838 Box’s Fort had been constructed on John Morris Box’s land in what is now Cherokee County, Texas. John Asbury Box, a nephew of John Morris, is credited as preaching the first sermon, a funeral service for a man killed by Indians. The Rev. Littleton Fowler, Methodist Missionary to the Republic of Texas ordained and licensed the first Texas Methodist pastor, Henderson D. Palmer at Box’s Fort on 7 July 1838. During the time Texas was a Republic, 1836-1846, members of the original Box immigrants established numerous Methodist churches in what is now Houston, Anderson and Cherokee Counties. Many of the Box men became local pastors and established new churches as they moved west after the Civil War. Vernon, W.N., Sledge, R. W., Monk, R. C. and Spellman, N. W. 1986. The Methodist Excitement in Texas, A History. The Texas United Methodist Historical Society, SMU, Dallas, Texas. Houston County Historical Commission. 1987. History of Houston County, Texas 1687-1979. Heritage Publishing Company, Tulsa, Oklahoma. COLEMAN SPARKS, was born about 1826 in South Carolina and he died on June 24, 1663 while in the military service of the United States. He married Louisa E. Goings (or Goins) on April 1, 1849 in Calhoun County, Georgia. 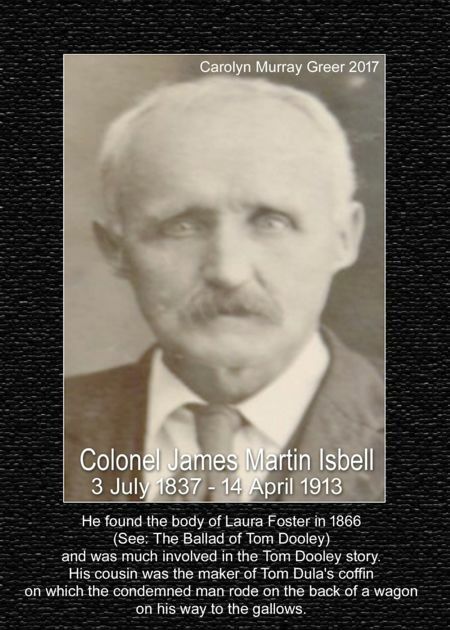 He served in Co. D, 1st Regt. Alabama Cavalry. File Designations: Wid. Cert. No. 162,128; Minor Cert. No. 260,670. On February 3, 1871, Louisa E. Sparks, age 38, a resident of Tuscumbia, Alabama, made application for a widow’s pension. She stated that she was the widow of Coleman Sparks who was a private in Company D, 1st Regiment Alabama Cavalry Volunteers and who had died on April 25, 1863, at Glendale, Mississippi, of chronic diarrhea. She and Coleman Sparks had been married on April 1, 1849, at Calhoun, Georgia, by Esquire Collier, a justice of the peace. Her maiden name was Louisa E. Goings. Children of this marriage who were under the age of sixteen were: Joseph Monroe Sparks, born October 11, 1855; Sarah Delia Sparks, born November 20, 1857; Sue Anna Sparks, born April 11, 1860; and Arty Missa and Julia Ann Sparks, twins, born February 15, 1862. A. L. Moody and William Dillard witnessed her make her mark and the application was sworn to before S. S. Anderson, Judge of the Franklin County Probate Court. On September 30, 1871, Justice of the Peace‘ W. L. Gray made an affidavit that he had seen a family record of Louisa E. Sparks vrhich showed that she and Coleman Sparks were married on April 1, 1849. A year later, on October 17, 1872, Sarah E. Goings went before Judge Abner W. Ligon and testified that she was the mother of Louisa E. Goings and that she was present in Georgia when Coleman Sparks and Louisa E. were married. She stated: “They started from home to be married and returned in a short time as man & wife, and I know they lived together as man & wife until the death of Coleman Sparks, and had a family of children, and that she never married since. I have made efforts & Louisa E. Sparks to obtain record evidence of her marriage in Georgia, but none can be found.” O. G. Wingo and Charles Womble concurred in her statement, and the affidavit was witnessed by S. B. Thornton and S. W. McCloskey and was sworn to before A. W. Ligon, Judge of Colbert County Probate Court. “Case of Mrs. Louisa E. Sparks, Widow of Coleman Sparks, Decd., Late of Co. D, First Regt. Alabama Cavalry, Col. Geo. E. Spencer, Commanding Regt. No. 197,467. Special, Jas. H. Stoss, Tuscumbia, Alabama.Coleman Sparks resided in Colbert (late Franklin) Co., Ala., and as he was known to be an uncompromising Union man, no notice of his conscription was Served upon him, but he was Seized by the conscript officer, backed by a Squad of Cavalry, as Mr. Sparks was on his way to the Mill with grain for the use of his Family as Breadstuff. 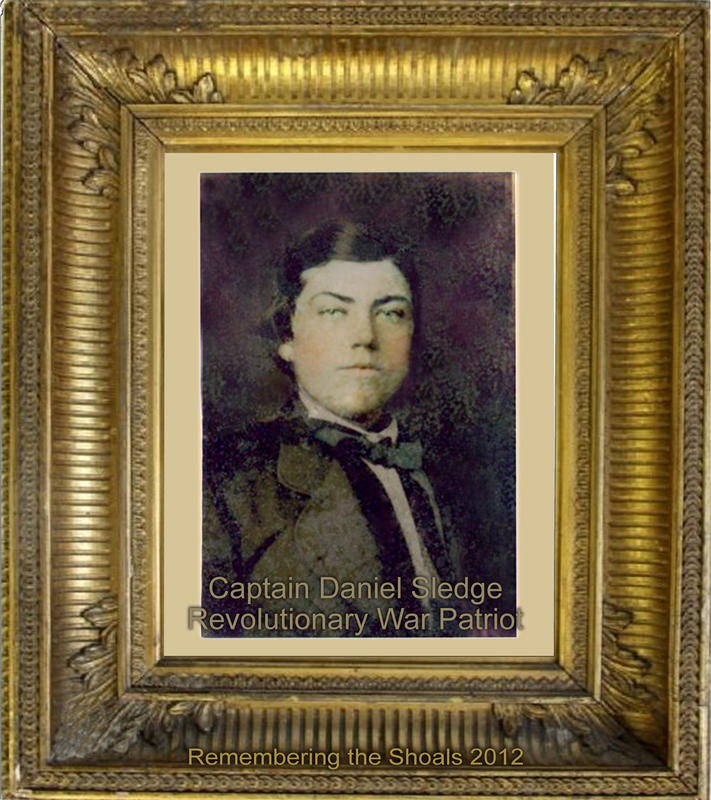 He was taken from his Team just as he was & hurried to the Rebel Headquarters from whence he made his Escape in a few days & made his way as best he could to the Federal Headquarters at Glendale, Miss., near Corinth where he Enlisted as above & was Mustered into the Service and Died from Fever resulting from Exposure & cold contracted in the Swamp in making his Escape from the Confederate Headquarters, as his Family was informed by his comrades, some of their Neighbors. His Family consisted of his wife, now widowed, and their Seven children, the younges [sic] being infant Twin Daughters of but a few months old. Louisa E. Sparks was issued Widow’s Certificate No. 162,128 and she was placed upon the pension rolls. On September 27, 1876, she married Calvin Dillard which apparently stopped her pension, whereupon she made application for a pension for her minor children. This required her appointment as the guardian of her two youngest children: Artimissa Sparks and Julia Ann Sparks. Her appointment was granted on February 23, 1878, and Minor Certificate No. 260,670 was issued and the children were placed upon the pension roll. The last record (in chronological order) sent from the pension file of Coleman Sparks is dated May 2, 1887. From the evidence presented, it appears that Louisa E. Dillard (formerly Louisa E. (Goings) Sparks) was trying to get retroactive pension benefits for her children prior to their sixteenth birthdays, for again she presented the family Bible with the dates of birth of her children in it. The Bible was printed in New York in 1853. A new entry had been made on August 15, 1877, when one of the children, Susa A. Sparks (called “Suanner” when her birth was recorded in the Bible) had died. Nothing was sent from the National Archives to indicate whether she was successful in getting retroactive benefits or not. (Editor’s Note: Coleman and Louisa L. (Goings) Sparks were living in the 12th Division of Gordon County, Georgia, when the 1850 census was taken; the census taker called on them on December 7, 1850. They had been married the year before (in 1849) and they were the only members of their household – – their first born son, Joseph, born January 8, 1850, had died in October, 1850. Coleman Sparks was listed as 23 years old (thus born about 1827) while Louisa was 20 (born about 1830); both were listed as born in South Carolina. The only other Sparks family listed on the 1850 census of Gordon County, Georgia, also in the 12th District, was that of Drury Sparks, age 55 (thus born about 1795) and his wife, Nancy, of the same age. With them were living Nancy Sparks, age 20; Caswell (or Carwell) Sparks, age 23; James Sparks, age 13; Mary Sparks, age 11; and Eliza J. Sparks, age 9. All members of this family were listed as having been born in South Carolina. Considering the ages of Drury and Coleman Sparks, Drury Sparks may well have been Coleman’s father. There was another Coleman Sparks (which is an unusual name in the Sparks Family) living in Union County, South Carolina, when the 1860 census was taken. He was then aged 23 and appears to have been a son of John and Unicy Sparks (ages 60 and 50 respectively). It is probably this Coleman Sparks whose grave is in the Padgett’s Creek Church cemetery in Union County; his stone gives his date of birth as April 9, 1831, and his death as 1861. We have found only one further item pertaining to the Coleman Sparks of this pension file. His son, General Washington Sparks, is buried in the Crooked Oak Cemetery at Crooked Oak in Colbert County, Alabama, located about 12 miles from Tuscumbia and about 9 miles from Russellville. Tombstone inscriptions there were copied by a local historian named R. L. James of Russellville about 1930. The tombstone for General Washington Sparks gives his name as General W. Sparks with the birth date October 20, 1851, and the death date as November 2, 1921. A note which Mr. James wrote in 1930 reads: “Mr. Sparks was of a different family from those buried in Sparks Cemetery. His mother was a daughter of Sarah A. Goins (wife of J. B. Goins) born April 30, 1813, died June 11, 1892. The Goins family came from Georgia and I think his father and mother married there.” (See the QUARTERLY of December 1959, Vol. VII, No. 4, Whole No. 28, pp.431-33, for a record of the Sparkses buried in the Sparks Cemetery located near Russellville, Alabama.